Find out more about the main areas of animal welfare concern we are focusing on. 1.Conservative Animal Welfare Foundation would like to see cages banned. 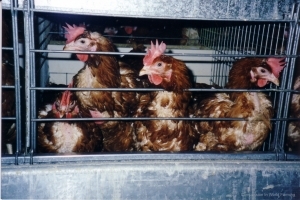 In the UK, each year 44% of laying hens are caged. (source- Compassion In World Farming, 2016) Barren battery cages were banned throughout Europe from January 1st 2012, but ‘enriched’ battery cages are still legally permitted. Battery cages now have to provide 600cm squared usable space per bird, less than the size of an A4 piece of paper each, and limited facilities for perching, nesting and scratching. Poland produces 52 million laying hens and 87% are caged. In France there are 54 million laying hens and 70% hens are caged. The UK has more uncaged hens than some European countries but millions of hens are reared in cages with little room to move and deprived of their natural exercise of foraging and running. Chicks never experience an adult role model to learn from and most male chicks are killed immediately after hatching. We believe animals should be slaughtered as close as possible to their place of birth and live transports to be replaced by a trade in meat. In 2011 and 2012 over 130,000 live animals were transported from ports in South East England. We want and need to end live transports and urge for a maximum journey time across Europe of 8 hours. Brexit provides the opportunity for the UK to ban live animal exports as soon as the UK leaves the EU. 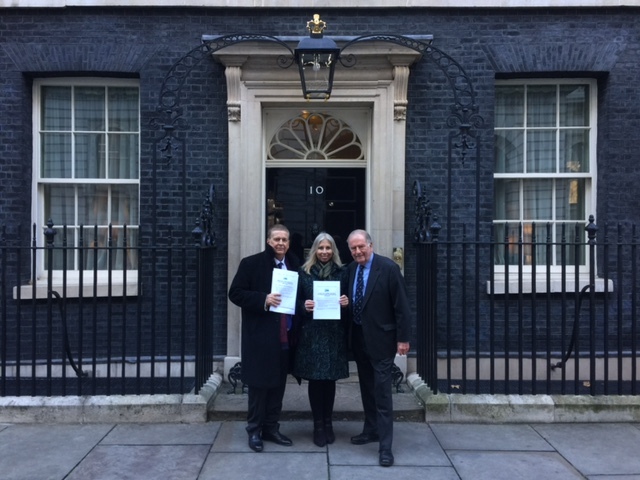 We have organised parliamentary and party conference fringe events to end live exports, hosted by our Patrons Sir Roger Gale MP , Sir David Amess MP and Zac Goldsmith MP. The Secretary of State Micahel Gove spoke at our first joint parliamentary reception with the Conservative Environment Network in December 2017 and spoke on ending the misery in live animal exports. The Harbours, Docks and Piers Clauses Act (1847) states that all ports must allow the free trade of ‘goods’, including farm animals. So, by law British public ports must allow lorries full of animals to pass through, even if the port authority doesn’t agree with the trade. It’s about time this law was updated so that ports can legally refuse consignments of live, sentient, animals without fear of legal repercussions. Non-stun slaughter affects millions of animals. We support the British Veterinary Association which is urging for an end to slaughter without stunning in the UK. We call on the Government for meat to be labelled with method of slaughter so consumers can make an informed choice. EU and UK law requires all animals to be stunned before slaughter to render them insensible to pain. 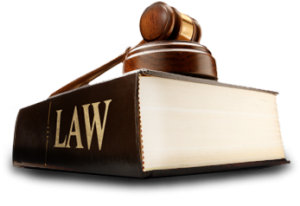 The law allows an exemption on the requirement to stun before slaughter for certain communities. Meat from animals which have not been stunned comes onto the general market but does not have to be labelled. As a result, some consumers are unknowingly buying unstunned meat. Conservative Animal Welfare Foundation is calling on the Government to require such meat to be labelled “meat from unstunned animal” so consumers can make an informed choice when buying meat. Conservative Animal Welfare Foundation calls for a ban on farrowing crates. There are 500,000 sows in the UK, 55% are caged. In Spain, Italy, the Netherlands and Poland, the number of farrowing sows rises to 90%. The crates severely restrict the sow’s movement and her strong instinct to build a nest before giving birth. Farrowing crates have been banned in Sweden, Norway and Switzerland already. The farrowing crate use is allowed and used routinely in the rest of the EU, however there are commercially available free-farrowing systems: 360 degrees; PigSafe; and, SWAP systems. Sow stalls (where pregnant pigs are kept indoors in sow stalls, have no access to the outdoors and are deprived of natural movement) are illegal in the UK and Sweden and banned across the EU from 2013(except for the period of weaning of the previous litter until the first 4 weeks of gestation) They are being phased out in the US and in New Zealand. Conservative Animal Welfare Foundation calls for a ban on farrowing crates which severely restrict the sow’s movement and her strong instinct to build a nest before giving birth. The Farrowing Crate is a small metal cage in which pregnant sows are imprisoned for weeks on end, usually from a week before giving birth until their piglets are weaned three to four weeks later. She will be subjected to this roughly twice a year. The metal frame of the crate is just centimetres bigger than the sow’s body and severely restricts her movements. She is completely unable to turn around, can scarcely take a step forward or backward and frequently rubs against the bars when standing up and lying down. Beside her cage is a “creep” area – for her piglets. The flooring is hard concrete and some form of heating, either mats or more commonly heatlamps, is used as a substitute for the warmth of their mother’s body. Factory-farmed meat has been shown to contain higher levels of saturated fat and lower levels of key nutrients than higher-welfare alternatives. The World Health Organisation (WHO) declared processed meat to be carcinogenic to humans and concluded that red meat “probably” is too in October 2015. Consumers are increasingly concerned that factory farming could not only have a negative impact on the environment, but also on their health. 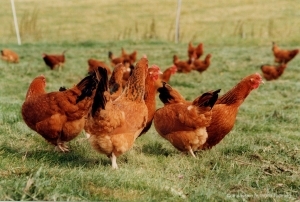 Buying free-range is the simplest thing you can do to help the hens that lay eggs. If you eat meat, the simplest thing you can do to help is to buy free-range chicken and poultry, free-range pork (or make sure it’s outdoor bred & reared) and grass-fed beef and lamb. Cheap meat usually comes at a price – one paid by the farm animals and often the environment too. Look for organic dairy products, particularly Soil Association, to guarantee dairy cows have access to pasture grazing. As wild fishing stocks collapse through over-fishing, fish farming is growing rapidly. In 1970 only around 5 per cent of the fish we ate came from farms. Today half of the fish we eat is farmed. Some scientists have predicted that by 2048, stocks of all species of sea fish will have collapsed, forcing us to rely almost exclusively on farmed fish.